We’ve been inundated with statistics this World Cup but can we predict the outcome? 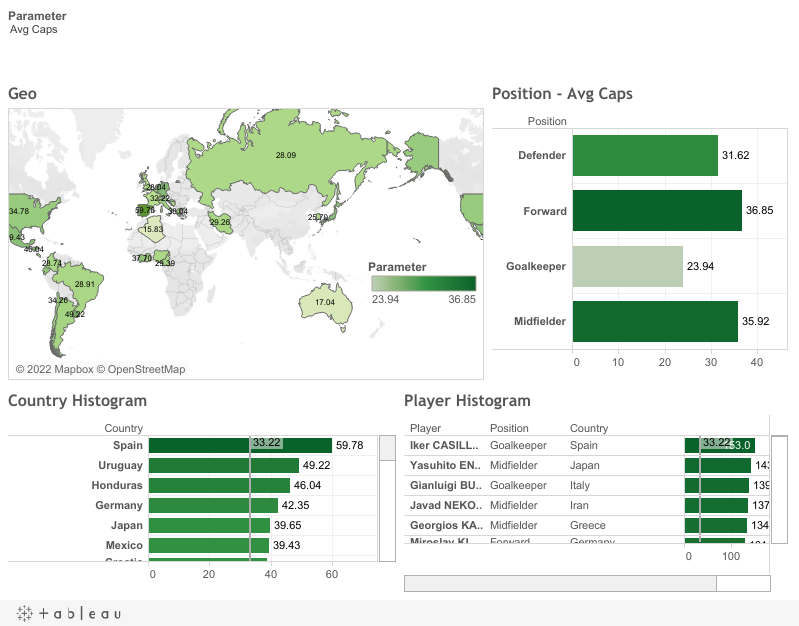 In this blog, we examine the stats published by FIFA covering age, caps, goals, and league by player. Spain, the winner of the 2010 World Cup, had all the stats in its favour, reinforced by experience as shown in the team’s overall number of international caps. They stood at 1,375 caps, 243 more than second placed Uruguay (33.32 on average). Their total number of goals is 217 (short second after Germany) and way more than third place Netherlands (161 goals). Spain’s average age is 27.78 consistent in close proximity to the qualifying teams’ average. England’s relatively new squad has a low-ish 626 overall caps (27 on average) and average age 26.13 (below the average). Total goals is 113 (above average), way below the top teams such as Spain and Germany but surprisingly higher than Brazil’s 107 goals. Klose’s 68 international goals and Lukas Podolski’s impressive 46 give them more goals than all of England’s squad combined. Based on these statistics, many a betting man likely put his money on Spain and some of the other top teams such as Germany, Italy and Brazil. In reality, Spain, Italy, and England spectacularly crashed out of the world cup in the first round. Is it that we’ve been fooled by a small set of statistics? Should anyone wanting to predict the outcome have taken more factors into account such as weather and diet? Or is unpredictability unavoidable and that’s what makes football so exciting? This entry was posted in Visualisation and tagged FIFA, Football, tableau software, visualisation, Worldcup by admin. Bookmark the permalink.